Clever locals, both old and new, are shaking things up on NSW’s Central Coast, breathing life into the suburbs of this once sleepy beachside region. The Central Coast is smack bang in the middle of Sydney and Newcastle, just over an hour’s drive from each. Try Crowne Plaza, Terrigal for a great stay in this buzzy little town. Facing Terrigal beach, expect panoramic views of the ocean alongside 199 hotel rooms, each with its own balcony. Plus, 3 ocean-facing restaurants and bars. Bells at Killcare for an upmarket Hamptons-style hideaway. Known for the accolades of it’s restaurant, this world class boutique hotel is also perfect for a romantic retreat or quick city escape. Bells at Killcare is the ultimate Hamptons-style hideaway. Pretty Beach House is the Central Coast’s answer to ultimate luxury. Coastal Retreat is a simple two-bedroom studio immaculately designed by Kyal and Kara Demmrich (The Block and The Living Room); it’s located just 100 metres from Toowoon Bay beach, close to Long Jetty and is listed on Airbnb. The Copacabana Beach House is a stunningly restored 1970s home with views of the ocean and headlands. Also on Airbnb, it’s the ultimate escape near the quiet enclave of Copacabana. A relaxed but sophisticated restaurant with a changing menu, focused on Asian, Middle Eastern, and Mediterranean flavours. Opening late in the Spring of 2016, Yellowtail is the first solo restaurant from Queensland Chef, Scott Price. A fun Caribbean-style rooftop bar. Expect an impressive selection of rums, infectious reggae beats and vibes that only this kind of influence can bring. An iconic seafood spot that has been beautifully refurbished, and the results are sublime. Pat Cregan started the business in 1974, and since then it has remained a family business. You will still find owners Jenni and Merv in the kitchen and market respectively, with the third generation now an integral part of the business. Cosy restaurant serving delicious, handmade pasta and gelato. The food is made in-house daily, served alongside an impressive collection of wine, beers, cocktails and signature coffee. In 1956, the Central Coast’s biggest movie theater, The Savoy, opened it’s doors for the first time. The Savoy was closed as a cinema in 1976 and has had mixed use since then on the ground floor with the mezzanine and projection room laying disused and dormant for 40 years. Until now. Rising out of the ashes from its glory days, The Savoy is reborn into a multi-purpose bar and restaurant venue, bringing a variety of exciting offerings to the community. Set on a lush property, this elegant restaurant offers modern Italian cuisine. With a focus on ethical and sustainable supply chains, the produce – from the basics of the best salt and flour, to regional cheeses, pasta made from ancient wheat varieties, spices, grass-fed meats and game, and sustainable Australian seafood – is all farmed locally. This slick community hub offers yoga, workshops, talks and more alongside its bar and restaurant. For food, contemporary casual dining places emphasis on local produce, and the fresh seafood in which their waterfront locale offers. 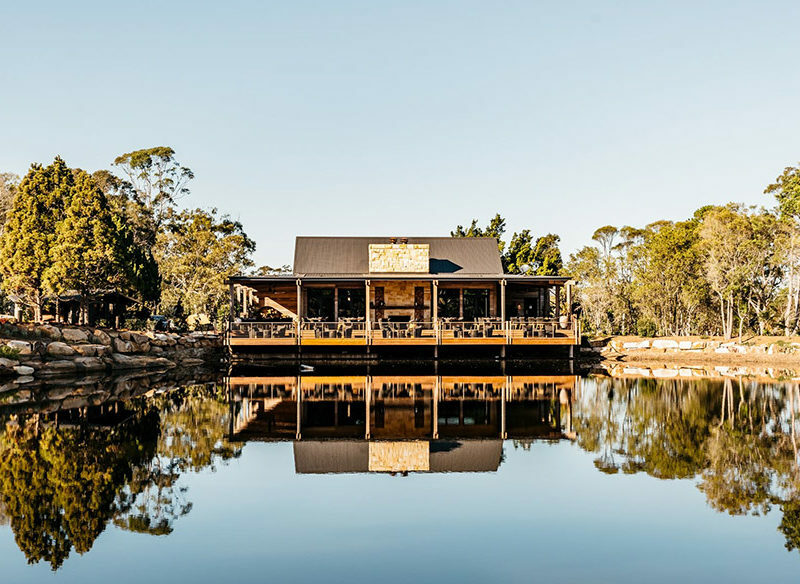 Based on a stunning rural property, Saddles is all about homely bakehouse food inspired by its surrounding bush landscape. Owners Cameron & Hayley Cansdell take a simple and ethical approach to food, utilising the best local and seasonal produce, along with heirloom varieties, which are harvested from the onsite in Summer. The Coast’s first homegrown craft beer. Visit the tasting room, have a bite to eat and enjoy live music. The local pub at the cute coastal hideaway of Patonga has a new lease of life. Expect the unprecedented beauty that comes from the surrounds of the Hawkesbury and Brisbane Waters National Park, alongside restaurant, bar and kiosk menus. For outdoor pursuits, check out Bouddi National Park and Five Lands Walk for spectacular coastal scenery; Central Coast Mountain Bike Tours for adventures through the Coast’s national parks; Glenworth Valley for horseriding, abseiling and quad biking; and Treetops Adventure Park at Ourimbah for obstacle courses, high ropes, zip lines and more. Have you tried the Dart and zfeather at Davistown.Well worth a visit!